Here's where you can find and leave feedback on our quarterly series where the focus is on the consoles. "Now you're playing with power; PORTABLE POWER!" In the third of our series of single format console special podcasts, Leon, James and Leah stock up on AA batteries and fire up their Nintendo Game Boy handhelds for one last T-spin around the Tetris block. Along with contributions from similarly nostalgic members of the Cane and Rinse community, we explore the strengths and weaknesses of both the hardware itself and the machine's huge software library, as well as picking up a few fun facts and figures along the way. This console special was edited by Jay Taylor. Don’t forget, in addition to getting the next one of these specials (The original Xbox), you'll also get our exclusive Patreon monthly podcast and the Cane and Rinse podcast a week earlier if you support our Patreon with just $1 per month! This Special bought back so many memories, top stuff! I have two Gameboy memories that stand out after listening. I got my gameboy from a mail order add in am amega magazine, such offers normally had bundles with a wide range of extras. With the one we went for we get an extra game , the magnifying glass/light thing and a rubber protective sheath by a company I think was called connex. The strange piece of rubber added more whight and stopped the use of the light that came with the offer! But I use it a lot partly as I was the only person in our circle of friends to have it and I liked that but the main reason was it was really well argonomicly designed. It had two curved humps at the back of the device that fitted your hand perfectly. They also look like a very purt bottom !! With an unfortunately placed hole for the headphone jack. We called it for years the connex bum, kids eh. The other memory is going to the Nintendo store in new youk where they have a small almost a museum display area. 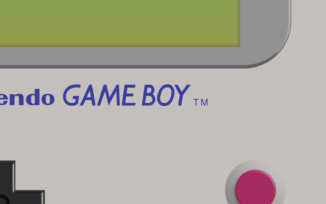 One piece is a gameboy that was taken by a US soldier into combating the first gulf war. It was singed around the edges and had taken a bullet which was still embedded in the case.........the gameboy sill worked. A testament to its durability. I was late to the Game Boy catalog. I didn't own an original one and ended up exploring the library after getting a Game Boy Advance, so I mostly listened to this special out of historical curiosity. I'm glad I did. There's some great meta discussion here on how choice isn't always a good thing and on appreciating the march of technology. Leon, James, and Leah have great podcast chemistry, too. Great job, to all involved.